On the basis of an agreement of the Vysočina Region and the Sub-Carpathian Ukraine Region, the two regions concluded an Agreement on Cooperation that was signed at a ceremony held on 28 February 2008. A body set up for the purpose of cooperation is the Permanent Conference. It makes decisions about specific cooperative projects to be implemented in a given calendar year. 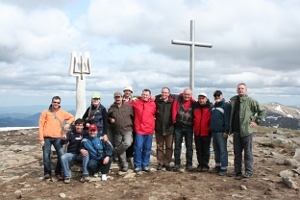 It then provides information about its activities and the projects implemented to the Assembly of the Vysočina Region. For more information, see www.kr-vysocina.cz › Spolupráce se zahraničím. At a meeting of the representatives of both partner regions, the method of supporting particular projects was discussed. Of all of the possible solutions, the financing of agreed projects through a charitable fund was found to be the most suitable. The most important reason for agreement on this solution is the fact that charitable organisations (which a charitable fund is) in Ukraine are exempt from paying taxes. Pursuant to negotiations between the Vysočina Region and the Sub-Carpathian Ukraine Region and the Agreement on Cooperation, and pursuant to the conclusions of the meeting of the Permanent Conference, the ViZa Charitable Fund sent a letter to the Vysočina Region, in which it proposed to the Region the forms of cooperation and support in various areas, and requested the provision of funds for the implementation of specific projects. The purpose of the cooperation between the Vysočina Region and the ViZa Charitable Fund is to ensure that specific projects of cooperation between the two regions concerned are implemented. At its 4th meeting of 2008, on 24 June 2008, the Region’s Assembly decided to conclude an Agreement on cooperation between the Vysočina Region and the ViZa Charitable Fund, in order to implement cooperation projects in 2008. The work of the ViZa Charitable Fund is therefore supported both in principle and financially by both partner regions – the Sub-Carpathian Ukraine Region and the Vysočina Region.